Specifically developed to withstand highly abrasive rock formations, the HERO 9 Abrasive matrix is an excellent choice, especially in iron ore. This matrix is abrasive resistant and easy to sharpen in even the toughest areas. Its redesigned components offer increased resistance to abrasion and its individually reinforced segments help preserve internal and external diameters. When used with an appropriate drilling additive mix, it optimizes performance in hard to very hard abrasive ground (between 6.0 and 7.5 on Mohs scale). 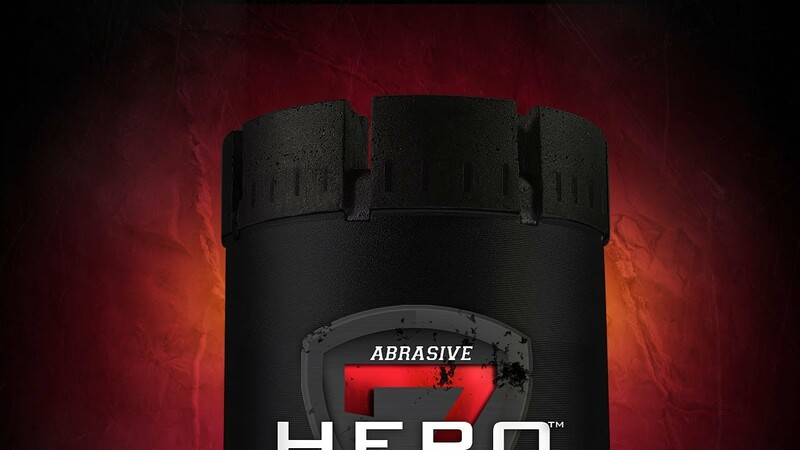 Choose HERO 9 Abrasive against the abrasive rock formations that include high iron ore content.